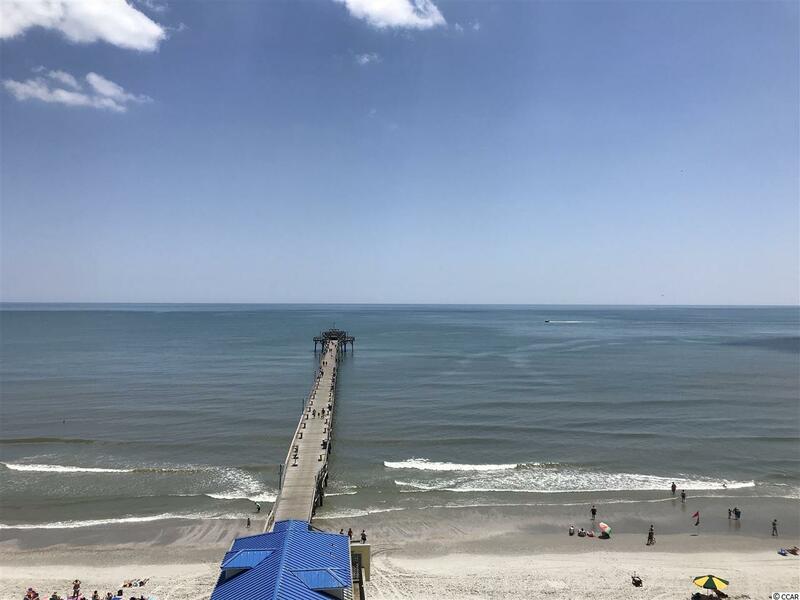 This beautiful, 8th floor, oceanfront, 3 bedroom-3 bath oceanfront condo sits directly above the Cherry Grove Pier & has a large oceanfront balcony. 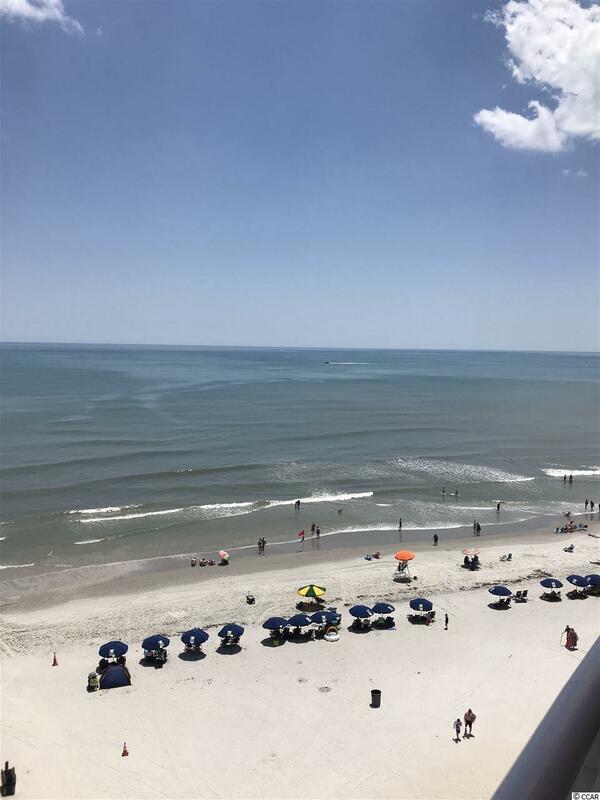 Two of the three bedrooms are oceanfront (one bdrm has floor to ceiling glass & the other bdrm has oceanfront balcony access). This unit features an amazing Lazy Boy Sofa with recliners, 2 chairs with recliners in the Living Room, and an extra-large flat screen smart TV with amp/surround sound. It has new bedding in all bedrooms with master bedroom featuring a king size adjustable bed with dual controls. Two bedrooms feature flat screen smart TVs, the third bedroom has a flat screen TV. New HVAC unit was installed in 2016. The refrigerator with side by side water and ice dispenser was purchased in 2014, this unit also features a washer/dryer. 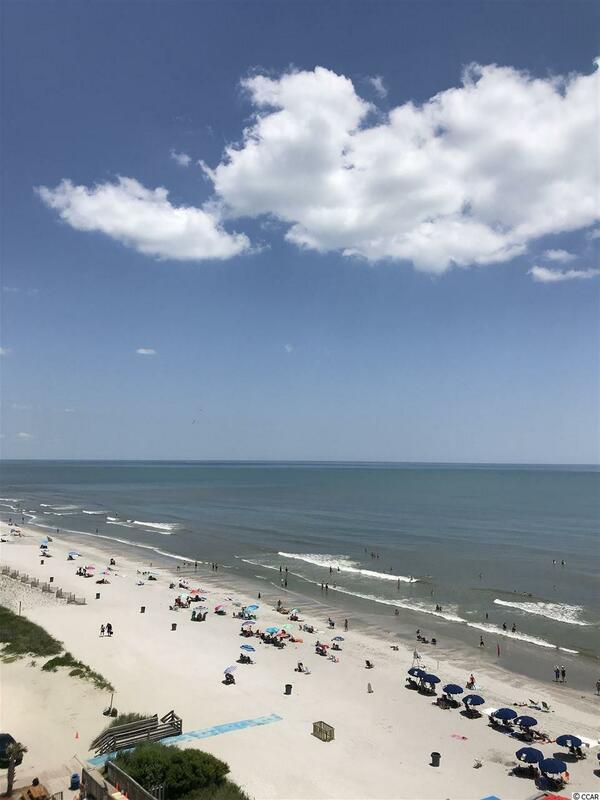 Enjoy the oceanfront pool, rooftop pool, lazy river, multiple hot tubs, kiddie pool, Ocean Grill at the pier, and fitness room. 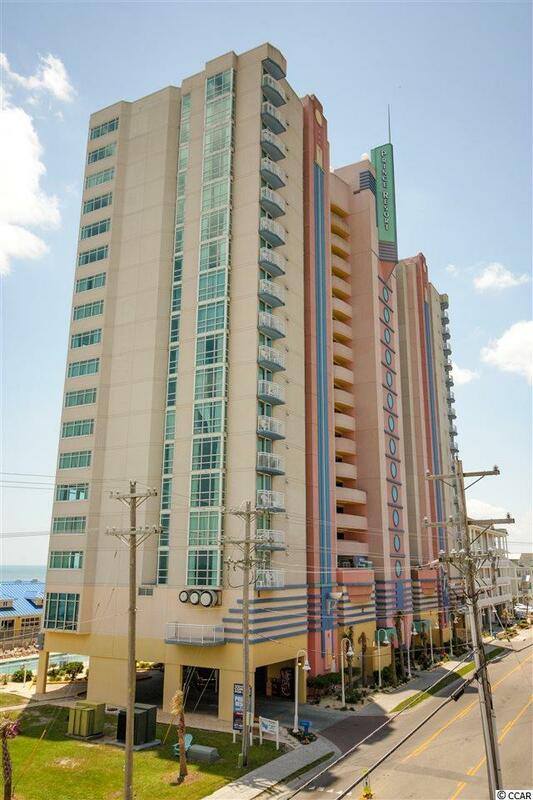 This condo is currently used as a second home and has great rental income potential. The HOA fee includes: unit electric, water, sewer, cable, internet, telephone, building insurance and HO6 insurance. MUST SEE!!!! !